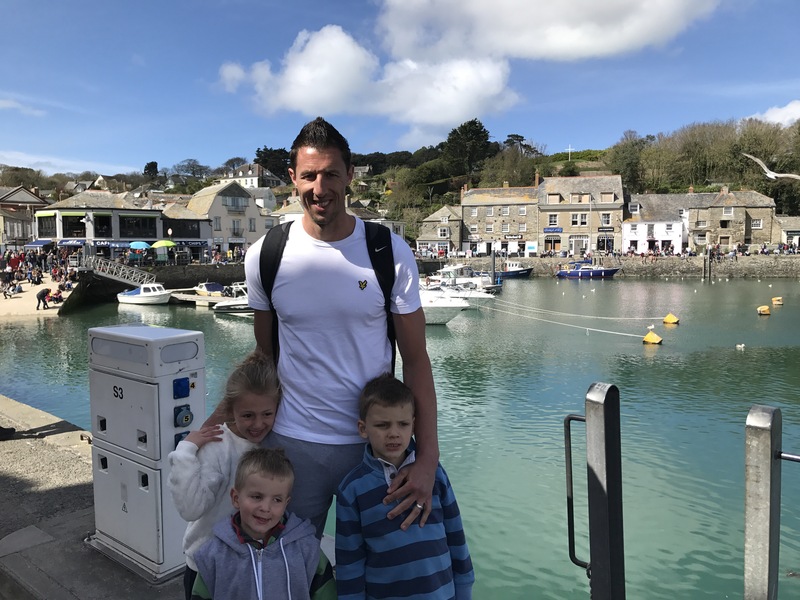 Padstow is well-known as a place to visit in Cornwall but it is fairly difficult to park at and my kids aren’t thrilled when I tell them we are off to look at shops. 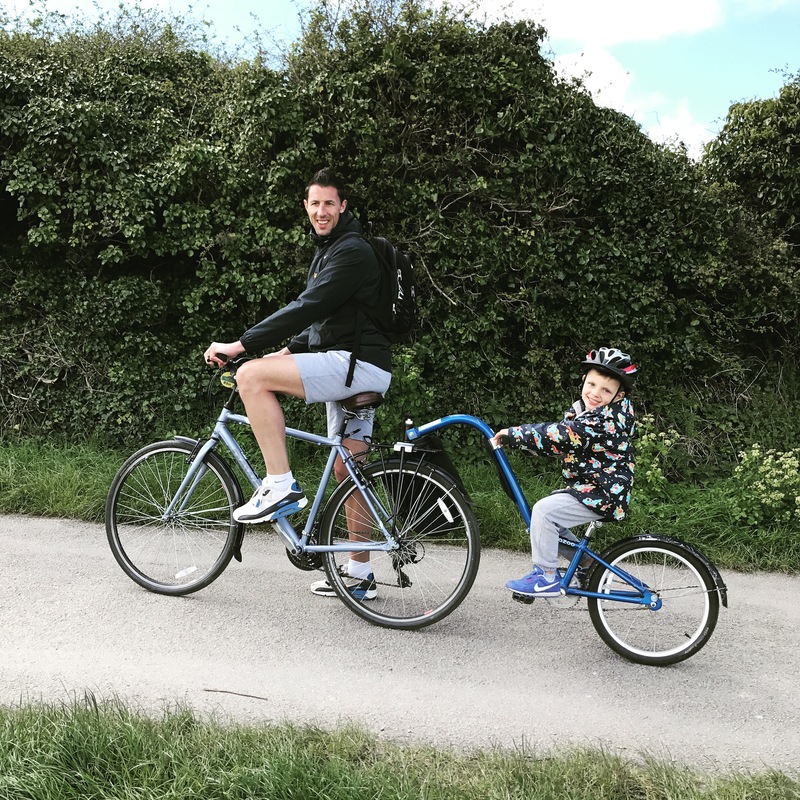 We do often go there with the kids but adding the bike ride does add more fun for them. You can go in the other direction and rent from Padstow but I wouldn’t have as much enjoyment from walking around Wadebridge at half way as I do Padstow and then you have to park in Padstow and I’m not sure about the rental places giving free parking. I think people who rent from here often do the much longer route on to Bodmin. This isn’t a cheap activity if you are hiring all the bikes. It would be much better if you had your own bikes but we don’t have adult bikes of our own. Also none of our children can ride a bike on their own (this is on my summer to-do-list!) So we need a fairly awkward combination of seating to be able to get them all on to 2 adult bikes! 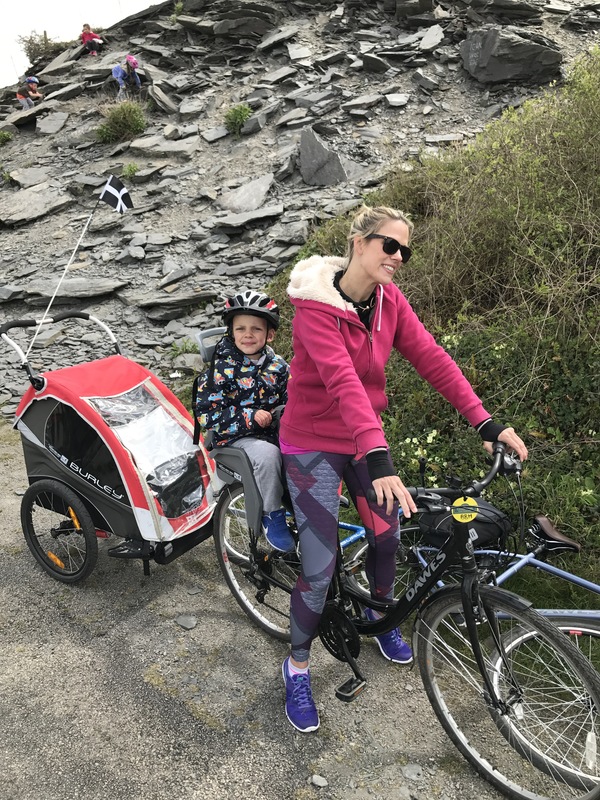 As we hadn’t booked they only had a child seat on a ladies bike and a buggy can only go onto the bike with the seat not onto a bike with a tag-along. So I had to pull 2 kids and Steffan got to have a child cycle with him! 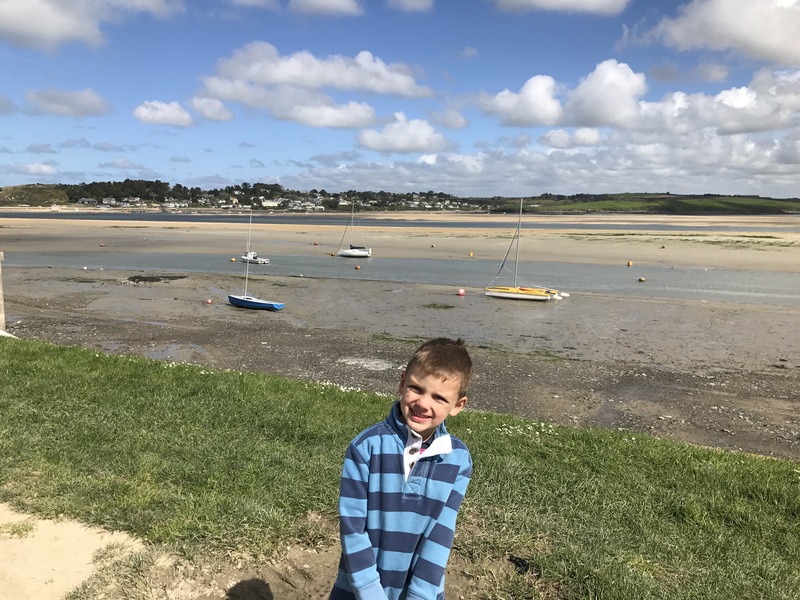 It’s a flat 5.5 mile route to Padstow and you pass some beautiful scenery along the estuary. Even if you don’t go on bikes very often it is a fairly enjoyable distance. I would check the weather before you go as it is windy on a fairly calm day. At 2.5 miles there is a small hot drinks stand. Not that you really need a break on such a short distance but it is nice to stop and have a coffee/hot chocolate and the kids enjoyed having a wander on the rocks. 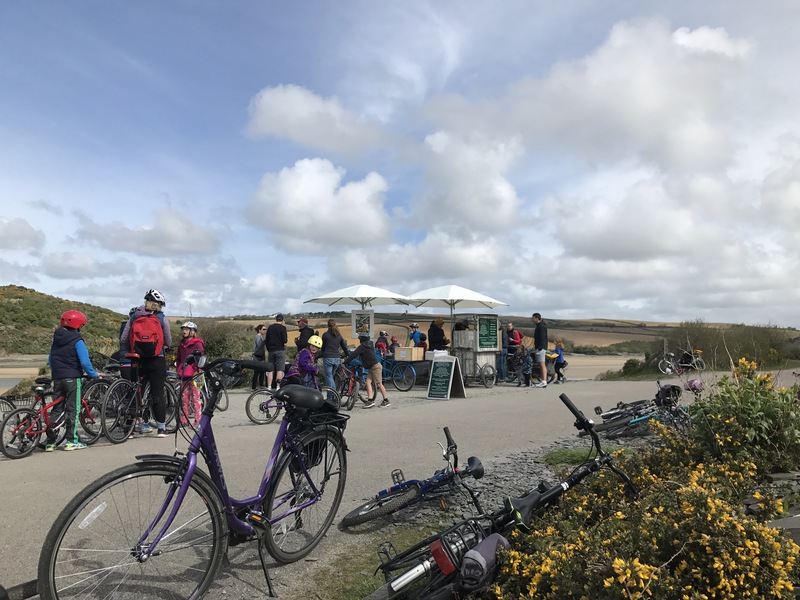 When you get to Padstow there are loads of places to lock your bike (you are provided with locks from the company) then you are free to wander around Padstow. You need to be back at the bike shop in Wadebridge by 6pm so you have lots of time if you need it. We just sat and shared a pasty and chips by he harbour and watched a street performer before we pottered back again but there are loads of places to eat or drink. The kids swapped round so they all got a go on the tag-along and had fun at cycling. A great activity on a non-sunny day.